"Inspiration to anyone seeking change in their lives whether they are travel buffs and adventure seekers or just stay-at-home types." - Lee Ann V.
"Taking chances, and following your heart seem to be the common threads of all these stories, and reading these stories is inspiring, and definitely thought-provoking for my own life." - Alouise D.
"This could be an inspiring gift for people who are blocked in their current living." - Doika X. 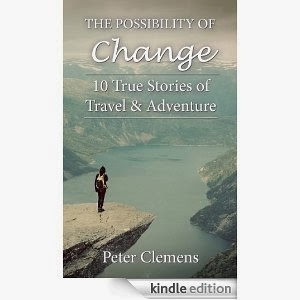 Over 40,000 people turn to Peter Clemens for inspiration and motivation to change through his top personal growth website, The Change Blog. In the "Possibility of Change" book series, he has gathered the best stories from hundreds of contributors on his site to help people accomplish their desires for change.